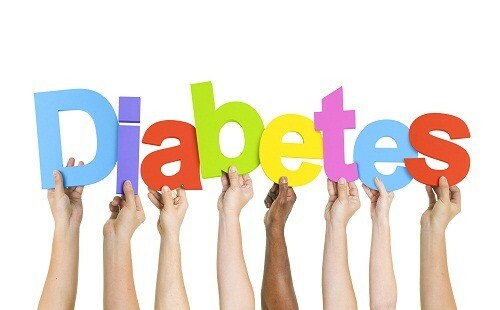 Whether you’ve had diabetes your whole life or were just diagnosed you know it can be a hard thing to deal with. A diabetes diagnosis comes with a lot of lifestyle changes. People who suffer from Type 1 or Type 2 diabetes can actually benefit from a diet change that includes certain vitamins and supplements that can help in various ways. While a healthy diet full of the right vitamins and minerals is good for your health and heart, there are a few dietary supplements that scientists have been doing some research on as far as diabetic health goes. ALA falls into the category of antioxidants, which are amazing things that are mostly found in fruits and vegetables. They help fight toxins in the body and clean out the system, and protects cells in the body. ALA is believed to help by lowering the levels of blood glucose, as well as reducing pain and numbness. If you want to add more ALA to your diet the natural way, instead of through a pill, east spinach, broccoli and potatoes. If your have a wider palate, kidney and liver are also rich in ALA, and so is yeast. Chromium is believed to assist in controlling blood glucose levels from those suffering from Type 2 diabetes. It is a trace mineral found in many whole grains, including cereal. It’s also in spinach (do you see a pattern here?). If you have been diagnosed pre-diabetes it’s important to add this supplement to your diet, as it will improve the action of the insulin your body produces. Not only that, but chromium helps with weight loss and cholesterol. While fish oil tablets may make you cringe and the thought of fishy burps has you grossed out, you’ll be wanting to add fish to your diet after you read this. Fish contain EPA and DHA. These are both Omega- 3 fatty acids. While many fruits and vegetables contain these healthy fats, like avocados, they aren’t as potent and aren’t rich in these specific two. Eicosapentaenoic acid and docosahexaenoic acid are the two long-chain good fatty acids. There are various fish you can get these sources through, from something as simple as tuna to something as tasty as trout. Why eat this? It can delay or possibly even prevent diabetes Type 1 and reduce the risk of heart attack. Your health is important, whether you’ve been diagnosed with an illness like diabetes or not. Eating a healthy diet as a way to prevent illnesses is a good idea for anyone that wants to live a healthier and longer life. You’ll be amazed at all of the great meals and creations you can come up with, even just with the few foods mentioned above.